MOSCOW (Sputnik) - Japanese Prime Minister Shinzo Abe will most likely make a decision on Russian President Vladimir Putin’s proposal for a peace treaty only after the September 20 election for leader of Japan's ruling party, a former Russian ambassador to Tokyo told Sputnik on Wednesday. "The fact that Japan said it hasn’t changed its position regarding the islands was predictable. This is understandable: on September 20 Japan will elect its prime minister. Shinzo Abe is likely to be re-elected for another term as prime minister. Before that, he is not in the position to make statements regarding this issue, in order to not alienate his voters. Let’s wait until the election is over, and see what position Abe will take after that," Alexander Panov, who serves as the head of the Department of Diplomacy at Moscow's MGIMO University, said. He further speculated that progress in getting a peace treaty with Japan depended a lot on Abe and his ability to present the agreement to the public and that his next term in office would allow Moscow and Tokyo to advance their relationship. "The public opinion is cultivated. Before, no one in Japan thought about those islands, but after that idea was planted into the heads of Japanese people. So public opinion stood firmly on getting all the four islands, no more, no less. Now almost 60 percent of Japanese people agree on a joint declaration, meaning getting two islands, [a proposal] which is also supported by some Japanese politicians. But a lot depends on the leader, how he would present it. Now we have a window of opportunity with Japan: during Abe’s [possible next] three-year term in office we have to find some common ground to advance in our relationship and move toward the peace treaty," the former ambassador noted. Earlier in the day, Putin proposed signing a peace treaty between Russia and Japan by the end of the year without any preconditions. The Japanese Foreign Ministry told Sputnik that it was not ready to comment on the offer, but noted that Tokyo's position on the issue remained the same. 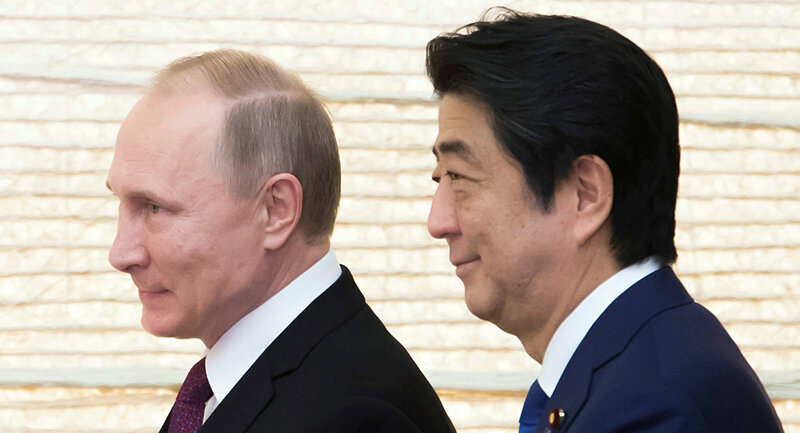 The fact that Japan and Russia have never signed a permanent peace treaty after the end of World War II has long been a stumbling block in Russia-Japan relations. The main issue standing in the way of a treaty is an agreement concerning a group of four islands that both countries claim — Iturup, Kunashir, Shikotan and Habomai, collectively referred to as the Southern Kurils by Russia and the Northern Territories by Japan. The views and opinions expressed by Alexander Panov are those of the speaker and do not necessarily reflect those of Sputnik.